We write grant applications for established nonprofits and viable projects that we believe can succeed in today’s competitive grant world. We write grants for a select group of nonprofits. Our clients are education, youth development, health, and human services organizations. We believe in relationships, and that's why we write grants for small group of clients. This lets us get to know our clients, their programs, and the grant funders they approach. We rarely take a writing assignment for a single grant proposal. 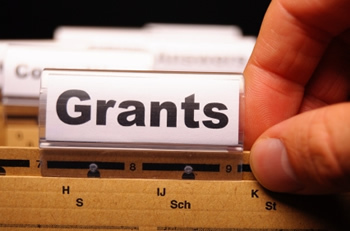 That said, we can help any nonprofit, from any sector, learn how to write great grants. We can also help your nonprofit find your best grant opportunities as well as critique the proposals that you write. Grant makers are looking for these things, too. That's why your nonprofit needs to be "grant ready" before you apply for grants. Yes, I want to talk to Laura about our grant writing needs! When you are seeking a grantwriter who researches, consults and completes the work with collaboration and competency, ask for Laura Rhodes.